Are you looking for the best local clinic where receive the best medical treatment in Oxford? Luckily there are different types of medical centers around you. Their differences lie in the kind of treatment they provide as well as their dimensions and owners. At first sight we could talk about private centers or public hospitals, where the financing is provided by the government of Oxford. 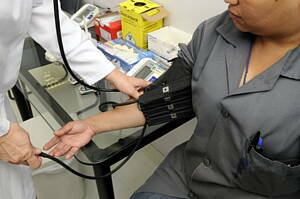 At Infoisinfo we know how important is for you to take care of your health and the health of your loved ones. That is why we’ve prepared a list with the best clinics in Oxford so that you can choose a clinic and find the best doctors, either you are in need of emergency care or family practice. This way we provide you with contact details such as websites, address and phone numbers as well as valuations and comments from other patients. Please do not hesitate to share your experience so it can help others too.